Prevent infestations of ants and other insects outside your home with Bonide Ant, Flea, & Tick Killer Granules. These ready to use granules may be applied to the soil and turf around house foundations and directly to ant hills or mounds. To control annoying and damaging insects such as ants, ticks, fleas, Japanese beetles, roaches, grubs, or crickets, simply apply as directed with a garden spreader and water lightly. 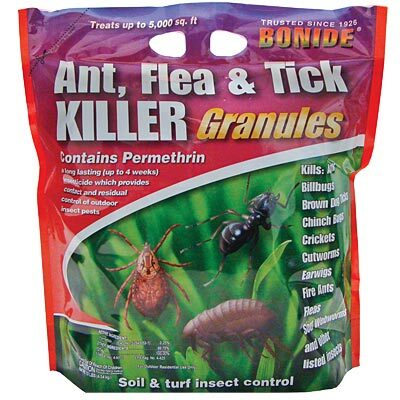 Protect your lawn from insect infestations with Bonide Ant, Flea, & Tick Killer Granules.